Home › Latest Promotions › Winter Workshop Deals! 20% off accessories and tyres! FREE 38 point check! 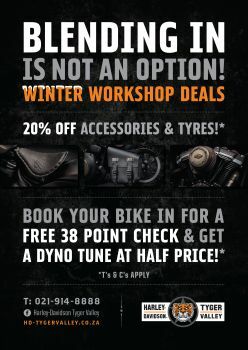 And receive a Dyno Tune at half price! Dyno tune price R1999. Any accessories required - 20% off.